Doctors have been practising in the Over Wyre area since the turn of the 20th century, in Stalmine, Hambleton and Pilling. 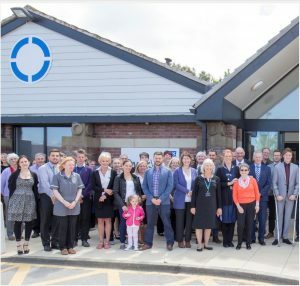 Partnerships gradually amalgamated over the years until the present group practice opened the Over Wyre Medical Centre in Preesall in September 1990, to serve all the Over Wyre population. A branch surgery is also run by the GPs at Hambleton. Both centres have convenient car parking. We are extremely proud of our superb medical centre and feel that it offers an attractive environment for both patients and staff. It is our intention to continue to expand and improve our services and facilities for the benefit of our patients and to continue the long established tradition of community care in this area. We provide a wide range of medical services for local people, from one-off problems to longer-term illnesses. Come into effect on 25th May 2018 in place of the Data Protection Act. To see our fair processing notice which explains why the GP practice collects information about you and how that information may be used, please see our About us / GDPR page from the tabs at the top of the page. Thank you. Please Note: Our Dispensary is open Mon - Fri 8:30am - 6.30pm & Hambleton branch surgery is open each weekday morning; the opening hours are varied, but core time is 9.00 to 10.00am.